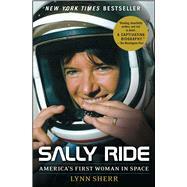 The definitive biography of Sally Ride, America’s first woman in space, with exclusive insights from Ride’s family and partner, by the ABC reporter who covered NASA during its transformation from a test-pilot boys’ club to a more inclusive elite. Sherr also writes about Ride’s scrupulously guarded personal life—she kept her sexual orientation private—with exclusive access to Ride’s partner, her former husband, her family, and countless friends and colleagues. Sherr draws from Ride’s diaries, files, and letters. This is a rich biography of a fascinating woman whose life intersected with revolutionary social and scientific changes in America. Sherr’s revealing portrait is warm and admiring but unsparing. It makes this extraordinarily talented and bold woman, an inspiration to millions, come alive.